The original July 2016 plan, going to Pattaya, was to hold camp at some swanky training facility for my daughter and me. Until one day when I bumped into Sylvie von Duuglas-Ittu’s blog. For those who may not know Sylvie, she is the West’s most invaluable (Muay Thai) export to the Land of Smiles (and I am not exaggerating). 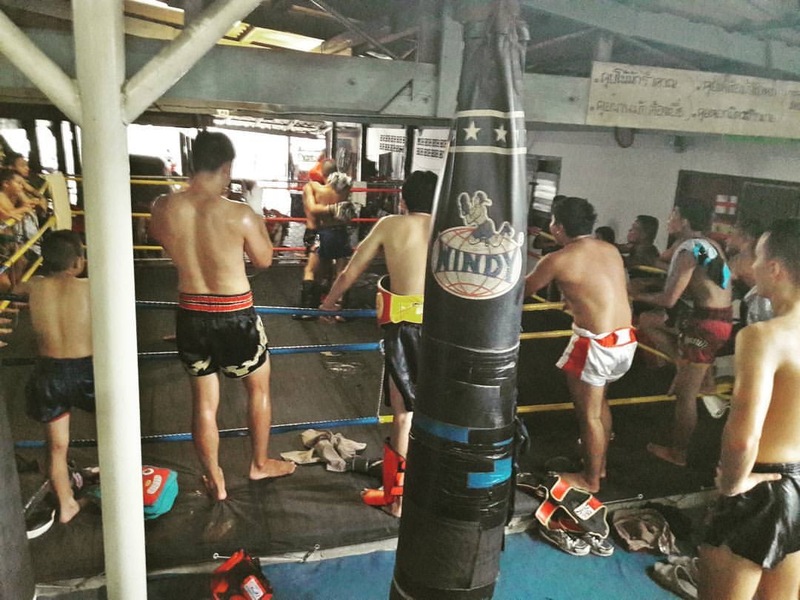 Petchrungruang Gym was never on my itinerary but am glad for the redirect to this family-owned, traditional Muay Thai gym. Just a stern warning before you decide to pack your gear and go: WHIP YOURSELF INTO SHAPE NOW! While the gym welcomes everyone, you must realize that Petchrungruang is a serious fighter’s gym; hence, the ethos and everything revolve around the art. They run three sessions a day and start as early as 5AM to accommodate the kids. Around 9AM, the gym is quite serene. Then you hear your name being called by kru Nu (Lumpinee champion and owner) for pad work in the matted weight training area, just like that you forget about serenity (in a good way). Did I warn you to get in shape? Be prepared to huddle for three to four rounds in a room with windows shut, literally no ventilation. His rounds are 4 minutes with a minute break, but you will only get to enjoy rest intervals of 30 seconds or less. At the sound of the bell, kru Nu will have you do speed kicks followed by hard kicks, and a combination. Inferno! Recovered? To open the next round, he will have you perform the same drill that concluded the previous round. I thought I was in shape; yes, for only three rounds. I was never able to answer his 4th round. Petchrungruang is not your vacation host. Expect to train at an intense pace, throw hard shots (halfhearted taps do not count), defend or get clipped, and drill technique. I have more respect for low kicks now after failing to block two well placed suckers (lower leg and thigh); I had to skip the PM session because I was limping and could not put weight on my left leg. Afternoons are usually packed as all the kids are back from school. 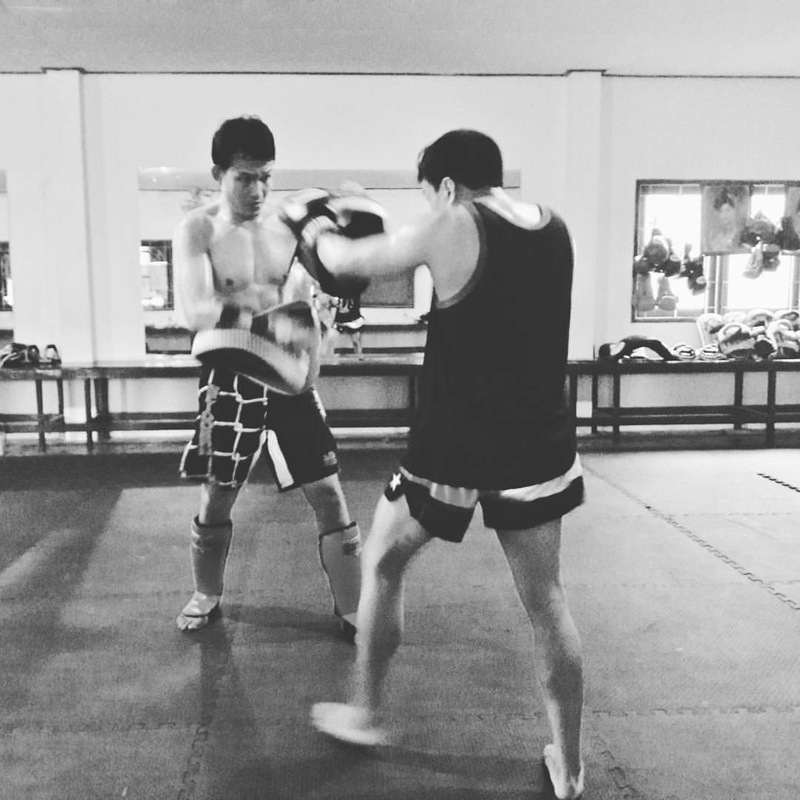 Having done pad work in the morning, you get to do more bag work, clinching, and sparring from 3PM onwards. I never went in for any sparring, though. It would be unfair to the nak muays to undertrain by taking on a beginner like me. No pre-fight benefit for them. The clinching was a real learning and fun experience. If you do not mind getting smashed by 15 or 16 year old kids. Not a problem for me as my cup was empty and was there to learn. I have nothing but nice words to say about kru Nu (and his family), a very patient and methodical teacher of the art, genuinely concerned about your development. 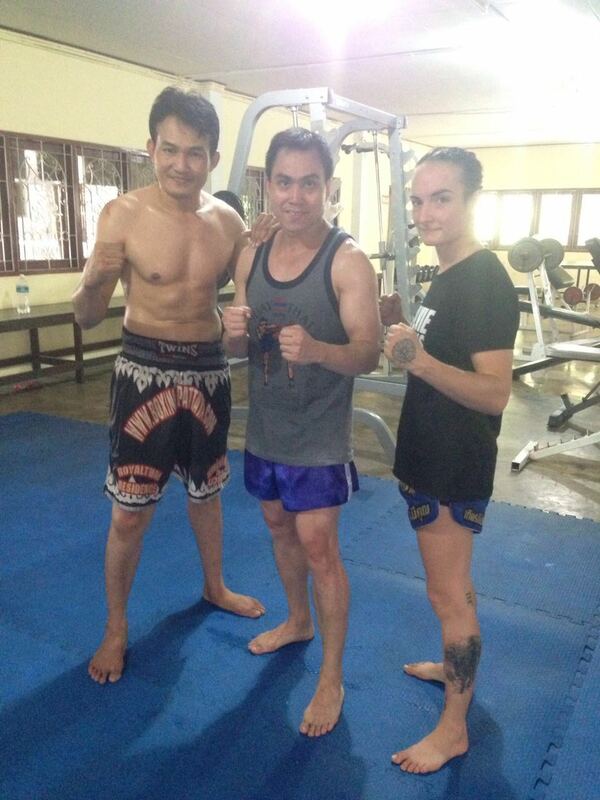 I cannot thank Sylvie enough for introducing me to Pattaya’s diamond Muay Thai gym: Petchrungruang.